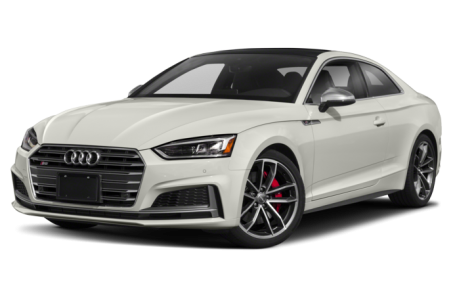 The 2019 Audi S5 is a two-door, sport car that has three body styles: coupe, sportback, and cabriolet. It is powered by a standard 349-hp, turbocharged six-cylinder engine mated to an eight-speed automatic transmission and Quattro all-wheel drive. Fuel economy for the S5 is an EPA-estimated rating of 21/30 mpg city/highway.